The Premier League (often referred to as the English Premier League (EPL) outside England) is the top level of the English football league system. Contested by 20 clubs, it operates on a system of promotion and relegation with the English Football League (EFL). The Premier League is a corporation in which the member clubs act as shareholders. Seasons run from August to May with each team playing 38 matches (playing all 19 other teams both home and away). Most games are played on Saturday and Sunday afternoons. 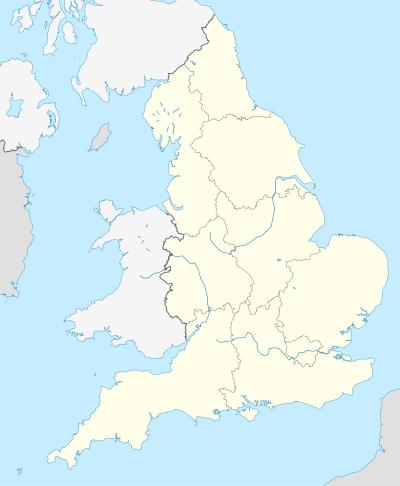 The Premier League has featured 47 English and two Welsh clubs since its inception, making it a cross-border league. The Premier League is a corporation in which the member clubs act as shareholders. Seasons run from August to May with each team playing 38 matches (playing all 19 other teams both home and away). Most games are played on Saturday and Sunday afternoons. The Premier League has featured 47 English and two Welsh clubs since its inception, making it a cross-border league. Despite significant European success in the 1970s and early 1980s, the late 1980s marked a low point for English football. Stadiums were crumbling, supporters endured poor facilities, hooliganism was rife, and English clubs were banned from European competition for five years following the Heysel Stadium disaster in 1985. The Football League First Division, the top level of English football since 1888, was behind leagues such as Italy's Serie A and Spain's La Liga in attendances and revenues, and several top English players had moved abroad. By the turn of the 1990s the downward trend was starting to reverse: at the 1990 FIFA World Cup, England reached the semi-finals; UEFA, European football's governing body, lifted the five-year ban on English clubs playing in European competitions in 1990, resulting in Manchester United lifting the UEFA Cup Winners' Cup in 1991, and the Taylor Report on stadium safety standards, which proposed expensive upgrades to create all-seater stadiums in the aftermath of the Hillsborough disaster, was published in January of that year. In the 1980s, major English clubs had begun to transform into business ventures, applying commercial principles to club administration to maximise revenue. Martin Edwards of Manchester United, Irving Scholar of Tottenham Hotspur, and David Dein of Arsenal were among the leaders in this transformation. It gave the top clubs more power. By threatening to break away, clubs in Division One managed to increase their voting power. They took a 50% share of all television and sponsorship income in 1986. Revenue from television also became more important: the Football League received £6.3 million for a two-year agreement in 1986, but by 1988, in a deal agreed with ITV, the price rose to £44 million over four years with the leading clubs taking 75% of the cash. According to Scholar who was involved in the negotiations of television deals, each of the First Division clubs received only around £25,000 per year from television rights before 1986, this increased to around £50,000 in the 1986 negotiation, then to £600,000 in 1988. The 1988 negotiations were conducted under the threat of ten clubs leaving to form a "super league", but they were eventually persuaded to stay with the top clubs taking the lion share of the deal. As stadiums improved and match attendance and revenues rose, the country's top teams again considered leaving the Football League in order to capitalise on the influx of money into the sport. In 1990, the managing director of London Weekend Television (LWT), Greg Dyke, met with the representatives of the "big five" football clubs in England (Manchester United, Liverpool, Tottenham, Everton and Arsenal) over a dinner. The meeting was to pave the way for a break away from The Football League. Dyke believed that it would be more lucrative for LWT if only the larger clubs in the country were featured on national television and wanted to establish whether the clubs would be interested in a larger share of television rights money. The five clubs agreed with the suggestion and decided to press ahead with it; however, the league would have no credibility without the backing of The Football Association and so David Dein of Arsenal held talks to see whether the FA were receptive to the idea. The FA did not enjoy an amicable relationship with the Football League at the time and considered it as a way to weaken the Football League's position. At the close of the 1991 season, a proposal was tabled for the establishment of a new league that would bring more money into the game overall. The Founder Members Agreement, signed on 17 July 1991 by the game's top-flight clubs, established the basic principles for setting up the FA Premier League. The newly formed top division would have commercial independence from The Football Association and the Football League, giving the FA Premier League licence to negotiate its own broadcast and sponsorship agreements. The argument given at the time was that the extra income would allow English clubs to compete with teams across Europe. Although Dyke played a significant role in the creation of the Premier League, Dyke and ITV would lose out in the bidding for broadcast rights as BSkyB won with a bid of £304 million over five years with the BBC awarded the highlights package broadcast on Match of the Day. In 1992, the First Division clubs resigned from the Football League en masse and on 27 May 1992 the FA Premier League was formed as a limited company working out of an office at the Football Association's then headquarters in Lancaster Gate. This meant a break-up of the 104-year-old Football League that had operated until then with four divisions; the Premier League would operate with a single division and the Football League with three. There was no change in competition format; the same number of teams competed in the top flight, and promotion and relegation between the Premier League and the new First Division remained the same as the old First and Second Divisions with three teams relegated from the league and three promoted. The league held its first season in 1992–93. It was composed of 22 clubs for that season. The first Premier League goal was scored by Brian Deane of Sheffield United in a 2–1 win against Manchester United. The 22 inaugural members of the new Premier League were Arsenal, Aston Villa, Blackburn Rovers, Chelsea, Coventry City, Crystal Palace, Everton, Ipswich Town, Leeds United, Liverpool, Manchester City, Manchester United, Middlesbrough, Norwich City, Nottingham Forest, Oldham Athletic, Queens Park Rangers, Sheffield United, Sheffield Wednesday, Southampton, Tottenham Hotspur, and Wimbledon. Luton Town, Notts County, and West Ham United were the three teams relegated from the old first division at the end of the 1991–92 season, and did not take part in the inaugural Premier League season. One significant feature of the Premier League in the mid-2000s was the dominance of the so-called "Top Four" clubs: Arsenal, Chelsea, Liverpool and Manchester United. During this decade, they dominated the top four spots, which came with UEFA Champions League qualification, taking all top-four places in 5 out of 6 seasons from 2003–04 to 2008–09 inclusive, while every season during the 2000s saw the "Big Four" always qualifying for European competition. Following the 2003–04 season, Arsenal acquired the nickname "The Invincibles" as they became the first club to complete a Premier League campaign without losing a single game, the only time it has ever happened in the Premier League. In May 2008 Kevin Keegan stated that "Top Four" dominance threatened the division, "This league is in danger of becoming one of the most boring but great leagues in the world." Premier League chief executive Richard Scudamore said in defence: "There are a lot of different tussles that go on in the Premier League depending on whether you're at the top, in the middle or at the bottom that make it interesting." Between 2005 and 2012, there was a Premier League representative in seven of the eight Champions League finals, with only "Top Four" clubs reaching that stage. Liverpool (2005), Manchester United (2008) and Chelsea (2012) won the competition during this period, with Arsenal (2006), Liverpool (2007), Chelsea (2008) and Manchester United (2009 and 2011) all losing Champions League finals. Leeds United were the only non-"Top Four" side to reach the semi-finals of the Champions League, in the 2000–01 season. Additionally, between the 1999–2000 and 2009–10 seasons, four Premier League sides reached UEFA Cup or Europa League finals, with only Liverpool managing to win the competition in 2001. Arsenal (2000), Middlesbrough (2006) and Fulham (2010) all lost their finals. The years following 2009 marked a shift in the structure of the "Top Four" with Tottenham Hotspur and Manchester City both breaking into the top four places on a regular basis, turning the "Top Four" into the "Big Six". In the 2009–10 season, Tottenham finished fourth and became the first team to break the top four since Everton five years prior. Criticism of the gap between an elite group of "super clubs" and the majority of the Premier League has continued, nevertheless, due to their increasing ability to spend more than the other Premier League clubs. Since the continued presence of Manchester City and Tottenham Hotspur at the top end of the table, no side has won consecutive Premier League titles. Additionally, the Premier League is the only top-level national league in the UEFA countries in which no club successfully defended its championship in the 2010s. Manchester City won the title in the 2011–12 season, becoming the first club outside the "Big Four" to win since Blackburn Rovers in the 1994–95 season. That season also saw two of the "Big Four" (Chelsea and Liverpool) finish outside the top four places for the first time since that season. With only four UEFA Champions League qualifying places available in the league, greater competition for qualification now exists, albeit from a narrow base of six clubs. If the teams are level on points and goal difference, play off for UEFA champions league spots will be played in neutral ground. In the following five seasons after the 2011–12 campaign, Manchester United and Liverpool both found themselves outside of the top four three times while Chelsea finished 10th in the 2015–16 season. Arsenal finished 5th in 2016–17, ending their record run of 20 consecutive top-four finishes. In the 2015–16 season, the top four was breached by a non-Big Six side for the first time since Everton in 2005. Leicester City were the surprise winners of the league, qualifying for the Champions League as a result. Off the pitch, the "Big Six" wield financial power and influence, with these clubs arguing that they should be entitled to a greater share of revenue due to the greater stature of their clubs globally and the attractive football they aim to play. Objectors argue that the egalitarian revenue structure in the Premier League helps to maintain a competitive league which is vital for its future success. The 2016–17 Deloitte Football Money League report showed the financial disparity between the "Big Six" and the rest of the division. All of the "Big Six" had revenues greater than €350 million, with Manchester United having the largest revenue in the league at €676.3 million. Leicester City was the closest club to the "Big Six" in terms of revenue, recording a figure of €271.1 million for that season – helped by participation in the Champions League. The eighth largest revenue generator West Ham, who didn't play in European competition, had revenues of €213.3 million, nearly half of the club with the fifth largest revenue, Liverpool (€424.2 million). A substantial part of the clubs' revenue by then came from television broadcast deals, with the biggest clubs each taking from around £150 million to nearly £200 million in the 2016–17 season from such deals. In Deloitte's 2019 report, all of the "Big Six" were in the top ten of the world's richest clubs. The number of clubs was reduced to 20, down from 22, in 1995 when four teams were relegated from the league and only two teams promoted. The top flight had only been expanded to 22 teams at the start of the 1991–92 season – the year prior to the formation of the Premier League. On 8 June 2006, FIFA requested that all major European leagues, including Italy's Serie A and Spain's La Liga, be reduced to 18 teams by the start of the 2007–08 season. The Premier League responded by announcing their intention to resist such a reduction. Ultimately, the 2007–08 season kicked off again with 20 teams. The league changed its name from the FA Premier League to simply the Premier League in 2007. The Football Association Premier League Ltd (FAPL) is operated as a corporation and is owned by the 20 member clubs. Each club is a shareholder, with one vote each on issues such as rule changes and contracts. The clubs elect a chairman, chief executive, and board of directors to oversee the daily operations of the league. The Football Association is not directly involved in the day-to-day operations of the Premier League, but has veto power as a special shareholder during the election of the chairman and chief executive and when new rules are adopted by the league. The current chairman is Sir Dave Richards, who was appointed in April 1999, and the chief executive is Richard Scudamore, appointed in November 1999. The former chairman and chief executive, John Quinton and Peter Leaver, were forced to resign in March 1999 after awarding consultancy contracts to former Sky executives Sam Chisholm and David Chance. Rick Parry was the league's first chief executive. On 13 November 2018, Susanna Dinnage was announced as Scudamore's successor due to start in early 2019. The Premier League sends representatives to UEFA's European Club Association, the number of clubs and the clubs themselves chosen according to UEFA coefficients. For the 2012–13 season the Premier League has 10 representatives in the Association: Arsenal, Aston Villa, Chelsea, Everton, Fulham, Liverpool, Manchester City, Manchester United, Newcastle United and Tottenham Hotspur. The European Club Association is responsible for electing three members to UEFA's Club Competitions Committee, which is involved in the operations of UEFA competitions such as the Champions League and UEFA Europa League. There are 20 clubs in the Premier League. During the course of a season (from August to May) each club plays the others twice (a double round-robin system), once at their home stadium and once at that of their opponents', for 38 games. Teams receive three points for a win and one point for a draw. No points are awarded for a loss. Teams are ranked by total points, then goal difference, and then goals scored. If still equal, teams are deemed to occupy the same position. If there is a tie for the championship, for relegation, or for qualification to other competitions, a play-off match at a neutral venue decides rank. A system of promotion and relegation exists between the Premier League and the EFL Championship. The three lowest placed teams in the Premier League are relegated to the Championship, and the top two teams from the Championship promoted to the Premier League, with an additional team promoted after a series of play-offs involving the third, fourth, fifth and sixth placed clubs. The Premier League had 22 teams when it began in 1992, but this was reduced to the present 20-team format in 1995. 49 clubs have played in the Premier League from its inception in 1992, up to and including the 2018–19 season. The following clubs are not competing in the Premier League during the 2018–19 season, but competed in the Premier League for at least one season. In 2011, a Welsh club participated in the Premier League for the first time after Swansea City gained promotion. The first Premier League match to be played outside England was Swansea City's home match at the Liberty Stadium against Wigan Athletic on 20 August 2011. The number of Welsh clubs in the Premier League increased to two in 2013–14, as Cardiff City gained promotion, but they were relegated after their maiden season. Cardiff were promoted again in 2017–18 but the number of Welsh clubs will remain the same as Swansea City were relegated from the Premier League in the same season. Because they are members of the Football Association of Wales (FAW), the question of whether clubs like Swansea should represent England or Wales in European competitions has caused long-running discussions in UEFA. Swansea took one of England's three available places in the Europa League in 2013–14 by winning the League Cup in 2012–13. The right of Welsh clubs to take up such English places was in doubt until UEFA clarified the matter in March 2012, allowing them to participate. Participation in the Premier League by some Scottish or Irish clubs has sometimes been discussed, but without result. The idea came closest to reality in 1998, when Wimbledon received Premier League approval to relocate to Dublin, Ireland, but the move was blocked by the Football Association of Ireland. Additionally, the media occasionally discusses the idea that Scotland's two biggest teams, Celtic and Rangers, should or will take part in the Premier League, but nothing has come of these discussions. The fifth-placed team in the Premier League qualifies for the subsequent season's UEFA Europa League group stage. The winner of the FA Cup also qualifies for the subsequent season's UEFA Europa League group stage, but if the winner also finished in the top five places in the Premier League, then this place reverts to the team that finished sixth. 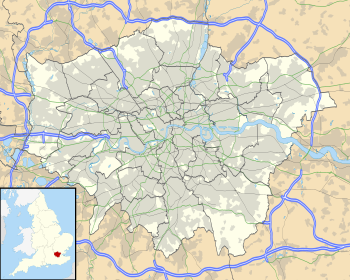 The winner of the EFL Cup qualifies for the subsequent season's UEFA Europa League second qualifying round, but if the winner already qualified for a UEFA competition via the Premier League or FA Cup, then this place reverts to the team that finished sixth in the Premier League, or seventh if the FA Cup result already caused the sixth-placed team to qualify. An exception to the usual European qualification system happened in 2005, after Liverpool won the Champions League the year before, but did not finish in a Champions League qualification place in the Premier League that season. UEFA gave special dispensation for Liverpool to enter the Champions League, giving England five qualifiers. UEFA subsequently ruled that the defending champions qualify for the competition the following year regardless of their domestic league placing. However, for those leagues with four entrants in the Champions League, this meant that if the Champions League winner finished outside the top four in its domestic league, it would qualify at the expense of the fourth-placed team in the league. At that time, no association could have more than four entrants in the Champions League. This occurred in 2012, when Chelsea – who had won the Champions League that summer, but finished sixth in the league – qualified for the Champions League in place of Tottenham Hotspur, who went into the Europa League. Between the 1992–93 and the 2017–18 seasons, Premier League clubs won the UEFA Champions League four times (and had six runners-up), behind Spain's La Liga with eleven wins, and Italy's Serie A with five wins; ahead of, among others, Germany's Bundesliga with three wins. The FIFA Club World Cup (originally called the FIFA Club World Championship) has been won once by a Premier League club (Manchester United in 2008), with two runners-up (Liverpool in 2005, Chelsea in 2012), behind Spain's La Liga with seven wins, Brazil's Brasileirão with four wins, and Italy's Serie A with two wins. From 1993 to 2016, the Premier League had title sponsorship rights sold to two companies, which were Carling brewery and Barclays Bank PLC; Barclays was the most recent title sponsor, having sponsored the Premier League from 2001 until 2016 (until 2004, the title sponsorship was held through its Barclaycard brand before shifting to its main banking brand in 2004). Barclays' deal with the Premier League expired at the end of the 2015–16 season. The FA announced on 4 June 2015 that it would not pursue any further title sponsorship deals for the Premier League, arguing that they wanted to build a "clean" brand for the competition more in line with those of major U.S. sports leagues. As well as sponsorship for the league itself, the Premier League has a number of official partners and suppliers. The official ball supplier for the league is Nike who have had the contract since the 2000–01 season when they took over from Mitre. Under its Merlin brand, Topps has held the licence to produce collectables for the Premier League since 1994, including stickers (for their sticker album) and trading cards. Launched in the 2007–08 season, Topps’ Match Attax, the official Premier League trading card game, is the best selling boys collectable in the UK, and is also the biggest selling sports trading card game in the world. The Premier League has the highest revenue of any football league in the world, with total club revenues of €2.48 billion in 2009–10. In 2013–14, due to improved television revenues and cost controls, the Premier League had net profits in excess of £78 million, exceeding all other football leagues. In 2010 the Premier League was awarded the Queen's Award for Enterprise in the International Trade category for its outstanding contribution to international trade and the value it brings to English football and the United Kingdom's broadcasting industry. The Premier League includes some of the richest football clubs in the world. Deloitte's "Football Money League" listed seven Premier League clubs in the top 20 for the 2009–10 season, and all 20 clubs were in the top 40 globally by the end of the 2013–14 season, largely as a result of increased broadcasting revenue. From 2013, the league generates €2.2 billion per year in domestic and international television rights. Premier League clubs agreed in principle in December 2012, to radical new cost controls. The two proposals consist of a break-even rule and a cap on the amount clubs can increase their wage bill by each season. With the new television deals on the horizon, momentum has been growing to find ways of preventing the majority of the cash going straight to players and agents. Central payments for the 2016–17 season amounted to £2,398,515,773 across the 20 clubs, with each team receiving a flat participation fee of £35,301,989 and additional payments for TV broadcasts (£1,016,690 for general UK rights to match highlights, £1,136,083 for each live UK broadcast of their games and £39,090,596 for all overseas rights), commercial rights (a flat fee of £4,759,404) and a notional measure of "merit" which was based upon final league position. The merit component was a nominal sum of £1,941,609 multiplied by each finishing place, counted from the foot of the table (e.g., Burnley finished 16th in May 2017, five places counting upwards, and received 5 × £1,941,609 = £9,708,045 merit payment). Television has played a major role in the history of the Premier League. The League's decision to assign broadcasting rights to BSkyB in 1992 was at the time a radical decision, but one that has paid off. At the time pay television was an almost untested proposition in the UK market, as was charging fans to watch live televised football. However, a combination of Sky's strategy, the quality of Premier League football and the public's appetite for the game has seen the value of the Premier League's TV rights soar. The Premier League sells its television rights on a collective basis. This is in contrast to some other European Leagues, including La Liga, in which each club sells its rights individually, leading to a much higher share of the total income going to the top few clubs. The money is divided into three parts: half is divided equally between the clubs; one quarter is awarded on a merit basis based on final league position, the top club getting twenty times as much as the bottom club, and equal steps all the way down the table; the final quarter is paid out as facilities fees for games that are shown on television, with the top clubs generally receiving the largest shares of this. The income from overseas rights is divided equally between the twenty clubs. The first Sky television rights agreement was worth £304 million over five seasons. The next contract, negotiated to start from the 1997–98 season, rose to £670 million over four seasons. The third contract was a £1.024 billion deal with BSkyB for the three seasons from 2001 to 2002 to 2003–04. The league brought in £320 million from the sale of its international rights for the three-year period from 2004 to 2005 to 2006–07. It sold the rights itself on a territory-by-territory basis. Sky's monopoly was broken from August 2006 when Setanta Sports was awarded rights to show two out of the six packages of matches available. This occurred following an insistence by the European Commission that exclusive rights should not be sold to one television company. Sky and Setanta paid £1.7 billion, a two-thirds increase which took many commentators by surprise as it had been widely assumed that the value of the rights had levelled off following many years of rapid growth. Setanta also hold rights to a live 3 pm match solely for Irish viewers. The BBC has retained the rights to show highlights for the same three seasons (on Match of the Day) for £171.6 million, a 63 per cent increase on the £105 million it paid for the previous three-year period. Sky and BT have agreed to jointly pay £84.3 million for delayed television rights to 242 games (that is the right to broadcast them in full on television and over the internet) in most cases for a period of 50 hours after 10 pm on matchday. Overseas television rights fetched £625 million, nearly double the previous contract. The total raised from these deals is more than £2.7 billion, giving Premier League clubs an average media income from league games of around £40 million-a-year from 2007 to 2010. The TV rights agreement between the Premier League and Sky has faced accusations of being a cartel, and a number of court cases have arisen as a result. An investigation by the Office of Fair Trading in 2002 found BSkyB to be dominant within the pay TV sports market, but concluded that there were insufficient grounds for the claim that BSkyB had abused its dominant position. In July 1999 the Premier League's method of selling rights collectively for all member clubs was investigated by the UK Restrictive Practices Court, who concluded that the agreement was not contrary to the public interest. The BBC's highlights package on Saturday and Sunday nights, as well as other evenings when fixtures justify, will run until 2016. Television rights alone for the period 2010 to 2013 have been purchased for £1.782 billion. On 22 June 2009, due to troubles encountered by Setanta Sports after it failed to meet a final deadline over a £30 million payment to the Premier League, ESPN was awarded two packages of UK rights containing 46 matches that were available for the 2009–10 season as well as a package of 23 matches per season from 2010 to 2011 to 2012–13. On 13 June 2012, the Premier League announced that BT had been awarded 38 games a season for the 2013–14 through 2015–16 seasons at £246 million-a-year. The remaining 116 games were retained by Sky who paid £760 million-a-year. The total domestic rights have raised £3.018 billion, an increase of 70.2% over the 2010–11 to 2012–13 rights. The value of the licensing deal rose by another 70.2% in 2015, when Sky and BT paid £5.136 billion to renew their contracts with the Premier League for another three years up to the 2018–19 season. Between the 1998–99 season and the 2012–13 season, RTÉ broadcast highlights on Premier Soccer Saturday and occasionally Premier Soccer Sunday. Between the 2004–05 season and the 2006–07 season, RTÉ broadcast a live matche on 15 Saturday afternoons with each match being called Premiership Live. In August 2016, it was announced the BBC would be creating a new magazine-style show for the Premier League entitled The Premier League Show. The Premier League is the most-watched football league in the world, broadcast in 212 territories to 643 million homes and a potential TV audience of 4.7 billion people,. The Premier League's production arm, Premier League Productions, is operated by IMG Productions and produces all content for its international television partners. The Premier League is particularly popular in Asia, where it is the most widely distributed sports programme. In Australia, Optus telecommunications holds exclusive rights to the Premier League, providing live broadcasts and online access (Fox Sports formerly held rights). In India, the matches are broadcast live on STAR Sports. In China, the broadcast rights were awarded to Super Sports in a six-year agreement that began in the 2013–14 season. As of the 2013–14 season, Canadian broadcast rights to the Premier League are jointly owned by Sportsnet and TSN, with both rival networks holding rights to 190 matches per season. The Premier League is broadcast in the United States through NBC Sports. Premier League viewership has increased rapidly, with NBC and NBCSN averaging a record 479,000 viewers in the 2014–15 season, up 118% from 2012–13 when coverage still aired on Fox Soccer and ESPN/ESPN2 (220,000 viewers), and NBC Sports has been widely praised for its coverage. NBC Sports reached a six-year extension with the Premier League in 2015 to broadcast the league through the 2021–22 season in a deal valued at $1 billion (£640 million). There has been an increasing gulf between the Premier League and the Football League. Since its split with the Football League, many established clubs in the Premier League have managed to distance themselves from their counterparts in lower leagues. Owing in large part to the disparity in revenue from television rights between the leagues, many newly promoted teams have found it difficult to avoid relegation in their first season in the Premier League. In every season except 2001–02, 2011–12 and 2017–18, at least one Premier League newcomer has been relegated back to the Football League. In 1997–98, all three promoted clubs were relegated at the end of the season. The Premier League distributes a portion of its television revenue to clubs that are relegated from the league in the form of "parachute payments". Starting with the 2013–14 season, these payments are in excess of £60 million over four seasons. Though designed to help teams adjust to the loss of television revenues (the average Premier League team receives £55 million while the average Football League Championship club receives £2 million), critics maintain that the payments actually widen the gap between teams that have reached the Premier League and those that have not, leading to the common occurrence of teams "bouncing back" soon after their relegation. For some clubs who have failed to win immediate promotion back to the Premier League, financial problems, including in some cases administration or even liquidation have followed. Further relegations down the footballing ladder have ensued for several clubs unable to cope with the gap. As of the 2017–18 season, Premier League football has been played in 58 stadiums since the formation of the division. The Hillsborough disaster in 1989 and the subsequent Taylor Report saw a recommendation that standing terraces should be abolished. As a result, all stadiums in the Premier League are all-seater. Since the formation of the Premier League, football grounds in England have seen constant improvements to capacity and facilities, with some clubs moving to new-build stadiums. Nine stadiums that have seen Premier League football have now been demolished. The stadiums for the 2017–18 season show a large disparity in capacity. For example, Wembley Stadium, the temporary home of Tottenham Hotspur, has a capacity of 90,000 while Dean Court, the home of Bournemouth, has a capacity of 11,360. The combined total capacity of the Premier League in the 2017–18 season is 806,033 with an average capacity of 40,302. Stadium attendances are a significant source of regular income for Premier League clubs. For the 2016–17 season, average attendances across the league clubs were 35,838 for Premier League matches with an aggregate attendance of 13,618,596. This represents an increase of 14,712 from the average attendance of 21,126 recorded in the Premier League's first season (1992–93). However, during the 1992–93 season, the capacities of most stadiums were reduced as clubs replaced terraces with seats in order to meet the Taylor Report's 1994–95 deadline for all-seater stadiums. The Premier League's record average attendance of 36,144 was set during the 2007–08 season. This record was then beaten in the 2013–14 season recording an average attendance of 36,695 with an attendance of just under 14 million, the highest average in England's top flight since 1950. Managers in the Premier League are involved in the day-to-day running of the team, including the training, team selection and player acquisition. Their influence varies from club-to-club and is related to the ownership of the club and the relationship of the manager with fans. Managers are required to have a UEFA Pro Licence which is the final coaching qualification available, and follows the completion of the UEFA 'B' and 'A' Licences. The UEFA Pro Licence is required by every person who wishes to manage a club in the Premier League on a permanent basis (i.e., more than 12 weeks, the amount of time an unqualified caretaker manager is allowed to take control). Caretaker appointments are managers that fill the gap between a managerial departure and a new appointment. Several caretaker managers have gone on to secure a permanent managerial post after performing well as a caretaker, including Paul Hart at Portsmouth and David Pleat at Tottenham Hotspur. Arsène Wenger is the longest-serving manager, having been in charge of Arsenal in the Premier League from 1996 to his retirement at the conclusion of the 2017–18 season, and holds the record for most matches managed in the Premier League with 828, all with Arsenal. He broke the record set by Alex Ferguson, who had managed 810 matches with Manchester United from the Premier League's inception to his retirement at the end of the 2012–13 season. 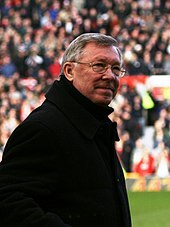 Ferguson was in charge of Manchester United from November 1986 until his retirement at the end of the 2012–13 season, meaning he was manager for the last five years of the old Football League First Division and all of the first 21 seasons of the Premier League. There have been several studies into the reasoning behind, and effects of, managerial sackings. Most famously, Professor Sue Bridgewater of the University of Liverpool and Dr. Bas ter Weel of the University of Amsterdam, performed two separate studies which helped to explain the statistics behind managerial sackings. Bridgewater's study found clubs generally sack their managers upon dropping below an average of one point per match. As of 10 February 2019. At the inception of the Premier League in 1992–93, just 11 players named in the starting line-ups for the first round of matches hailed from outside of the United Kingdom or Ireland. By 2000–01, the number of foreign players participating in the Premier League was 36% of the total. In the 2004–05 season, the figure had increased to 45%. On 26 December 1999, Chelsea became the first Premier League side to field an entirely foreign starting line-up, and on 14 February 2005, Arsenal were the first to name a completely foreign 16-man squad for a match. By 2009, under 40% of the players in the Premier League were English. In response to concerns that clubs were increasingly passing over young English players in favour of foreign players, in 1999, the Home Office tightened its rules for granting work permits to players from countries outside of the European Union. A non-EU player applying for the permit must have played for his country in at least 75 per cent of its competitive 'A' team matches for which he was available for selection during the previous two years, and his country must have averaged at least 70th place in the official FIFA world rankings over the previous two years. If a player does not meet those criteria, the club wishing to sign him may appeal. Players may only be transferred during transfer windows that are set by the Football Association. The two transfer windows run from the last day of the season to 31 August and from 31 December to 31 January. Player registrations cannot be exchanged outside these windows except under specific licence from the FA, usually on an emergency basis. As of the 2010–11 season, the Premier League introduced new rules mandating that each club must register a maximum 25-man squad of players aged over 21, with the squad list only allowed to be changed in transfer windows or in exceptional circumstances. This was to enable the "home grown" rule to be enacted, whereby the Premier League would also from 2010 require at least eight members of the named 25-man squad to be "home-grown players". There is no team or individual salary cap in the Premier League. As a result of the increasingly lucrative television deals, player wages rose sharply following the formation of the Premier League when the average player wage was £75,000 per year. In the 2018–19 season the average annual salary stood at £2.99 million. Th ratio of the wages of the highest paid team to lowest paid in the Premier League is 6.82 to 1. This is much lower than in La Liga (19.1 to 1), Serie A (16 to 1), Bundesliga (20.5 to 1), and Ligue 1 (26.6 to 1). Because of the lower differential between team wage bills in the Premier League, it is often regarded as being more competitive than other top European leagues. The record transfer fee for a Premier League player has risen steadily over the lifetime of the competition. 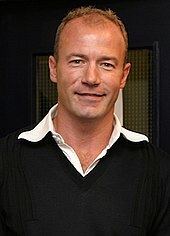 Prior to the start of the first Premier League season Alan Shearer became the first British player to command a transfer fee of more than £3 million. The record has increased steadily and Philippe Coutinho is now the most expensive transfer involving a Premier League club at £106 million. The highest transfer fee paid by a Premier League club is £89 million for Paul Pogba. As of 3 February 2019. The Golden Boot is awarded to the top Premier League scorer at the end of each season. Former Blackburn Rovers and Newcastle United striker Alan Shearer holds the record for most Premier League goals with 260. Twenty-eight players have reached the 100-goal mark. Since the first Premier League season in 1992–93, 14 players from 10 clubs have won or shared the top scorers title. Thierry Henry won his fourth overall scoring title by scoring 27 goals in the 2005–06 season. Andrew Cole and Alan Shearer hold the record for most goals in a season (34) – for Newcastle and Blackburn respectively. Ryan Giggs of Manchester United holds the record for scoring goals in consecutive seasons, having scored in the first 21 seasons of the league. The Premier League maintains two trophies – the genuine trophy (held by the reigning champions) and a spare replica. Two trophies are held in the event that two clubs could win the League on the final day of the season. In the rare event that more than two clubs are vying for the title on the final day of the season – then a replica won by a previous club is used. The current Premier League trophy was created by Royal Jewellers Asprey of London. It consists of a trophy with a golden crown and a malachite plinth base. The plinth weighs 33 pounds (15 kg) and the trophy weighs 22 pounds (10.0 kg). The trophy and plinth are 76 cm (30 in) tall, 43 cm (17 in) wide and 25 cm (9.8 in) deep. Its main body is solid sterling silver and silver gilt, while its plinth is made of malachite, a semi-precious stone. The plinth has a silver band around its circumference, upon which the names of the title-winning clubs are listed. Malachite's green colour is also representative of the green field of play. The design of the trophy is based on the heraldry of Three Lions that is associated with English football. Two of the lions are found above the handles on either side of the trophy – the third is symbolised by the captain of the title-winning team as he raises the trophy, and its gold crown, above his head at the end of the season. The ribbons that drape the handles are presented in the team colours of the league champions that year. 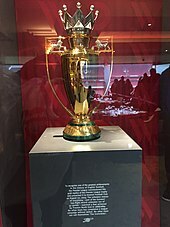 In 2004, a special gold version of the trophy was commissioned to commemorate Arsenal winning the title without a single defeat. Monthly awards are also given for the Manager of the Month, Player of the Month and Goal of the Month . These are also issued annually for Manager of the Season, Player of the Season. and Goal of the Season. The Golden Boot award is given to the top goalscorer of every season, The Playmaker of the Season award is given to the player who make the most assists of every season and the Golden Glove award is given to the goalkeeper with the most clean sheets at the end of the season. From the 2017–18 season, players also receive a milestone award for 100 appearances and every century there after and also players who score 50 goals and multiples thereof. Each player to reach these milestones will receive a presentation box from the Premier League containing a special medallion and a plaque commemorating their achievement. ↑ Bose, Mihir (16 August 2001). "Hammam cast in villain's role as Dons seek happy ending". The Daily Telegraph. London: Telegraph Media Group. Retrieved 31 October 2009. ↑ "Hammam meets grass-roots on whistle-stop tour". Irish Independent. 23 January 1998. Retrieved 13 June 2013. ↑ Quinn, Philip (10 June 1998). "`Dublin Dons on way' Hammam". Irish Independent. Retrieved 13 June 2013. ↑ Ziegler, Martyn; Esplin, Ronnie (10 April 2013). "Celtic and Rangers will join European super league, says Scotland manager Gordon Strachan". The Daily Telegraph. London: Telegraph Media Group. Retrieved 21 May 2013. ↑ Jakeman, Mike (25 March 2015). "Unbelievably, the Premier League is becoming profitable". Quartz (publication). Retrieved 25 March 2015. ↑ Sandomir, Richard (10 August 2015). "NBC Retains Rights to Premier League in Six-Year Deal". The New York Times. Retrieved 13 August 2015. ↑ Wilson, Paul (14 July 2017). "Kyle Walker signs for Manchester City in world-record £53m deal for a defender". The Guardian. Retrieved 14 July 2017. ↑ "Premier League player stats". Premier League. Retrieved 11 November 2018. ↑ Whooley, Declan (23 December 2013). "Will Luis Suarez break the Premier League goal scoring record this season?". Irish Independent. Retrieved 15 August 2014. ↑ "Players by Statistic". Premier League. Retrieved 20 August 2013. ↑ "Torres wins Barclays Golden Boot landmark". Premier League. 26 November 2009. Archived from the original on 11 June 2010. Retrieved 11 September 2010. ↑ "Premier League records". football.co.uk. DigitalSportsGroup. 24 March 2008. Archived from the original on 1 December 2009. Retrieved 13 September 2010. ↑ "Ryan Giggs goal makes him only person to score in all PL seasons trivia". SportBusiness. SBG Companies Ltd. Retrieved 21 November 2009. ↑ Rumsby, Ben (28 April 2014). "Premier League consider borrowing a championship trophy as season heads for three-way climax". The Telegraph. Retrieved 29 April 2014. 1 2 "The Premier League Trophy". Premier Skills. British Council. Retrieved 22 January 2013. 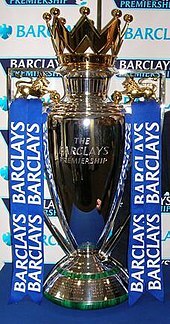 ↑ "What makes the Barclays Premier League Trophy so special?". Barclays. Archived from the original on 22 November 2010. Retrieved 13 September 2010. ↑ "Special trophy for Gunners". BBC Sport. 18 May 2004. Retrieved 20 August 2017. ↑ "Season review 2009/10". Premier League. 13 May 2010. Archived from the original on 16 May 2010. Retrieved 15 September 2010. ↑ Neale, Richard (7 May 2010). "Tottenham Hotspur's Sir Harry Redknapp is Premier League manager of season". The Times. Retrieved 15 September 2010. ↑ "Rooney named Barclays Player of the Season". The Independent. 10 May 2010. Retrieved 7 August 2011. ↑ "New Premier League player award announced". Premier League. 18 April 2018. Retrieved 16 May 2018. ↑ "Chelsea scoop hat-trick of Barclays awards". Premier League. 13 May 2010. Archived from the original on 16 May 2010. Retrieved 15 September 2010. ↑ "Premier League Milestones celebrate players' success". Premier League. 24 April 2018. Retrieved 16 May 2018. ↑ "20 Seasons Awards: The Winners". premierleague.com. Premier League. 15 May 2012. Archived from the original on 18 May 2012. Retrieved 15 May 2012. Hammam, Sam (14 January 2000). The Wimbledon We Have. London: Wimbledon FC.